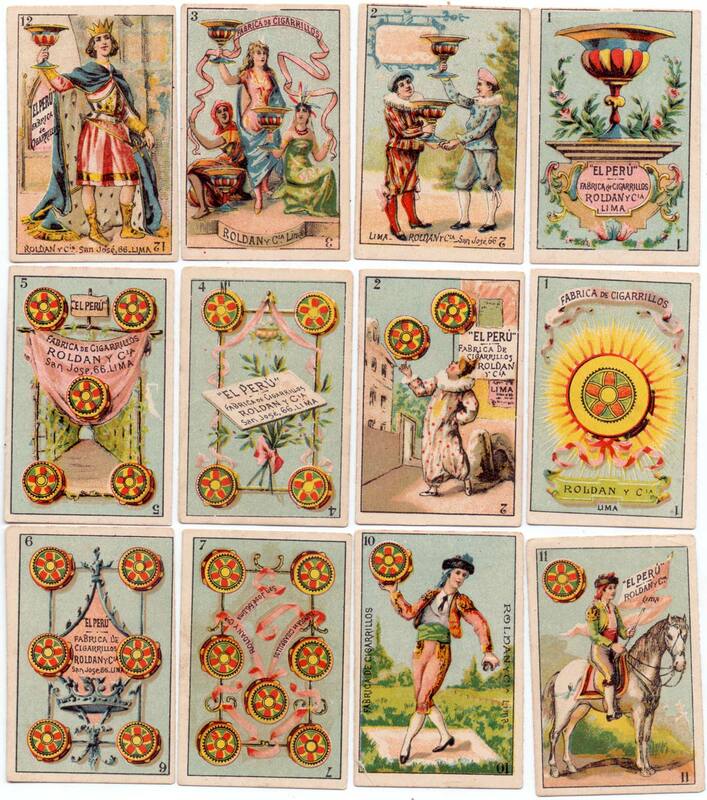 Antique chromolithographed cards from a fantasy publicity pack for the Peruvian tobacco company Roldan y Cia, San José 66, Lima. 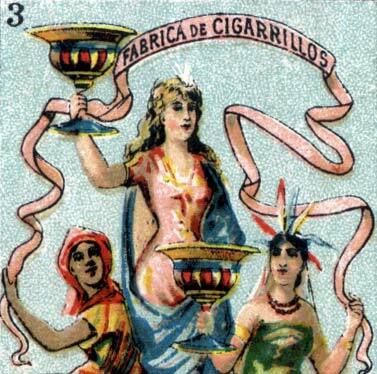 c.1890. 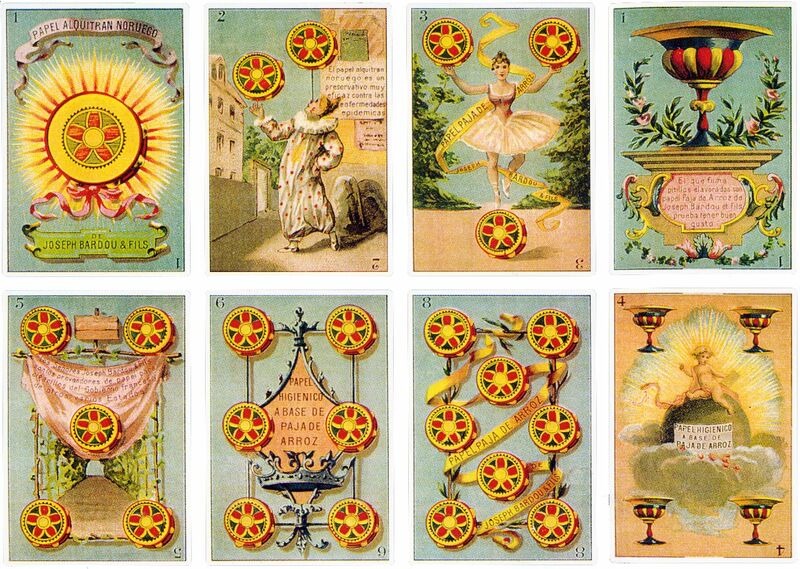 40 cards, miniature size: 36x55 mm. The design and transformation of the suit symbols into illustrated scenes is very agile with excellent colour harmony and execution. 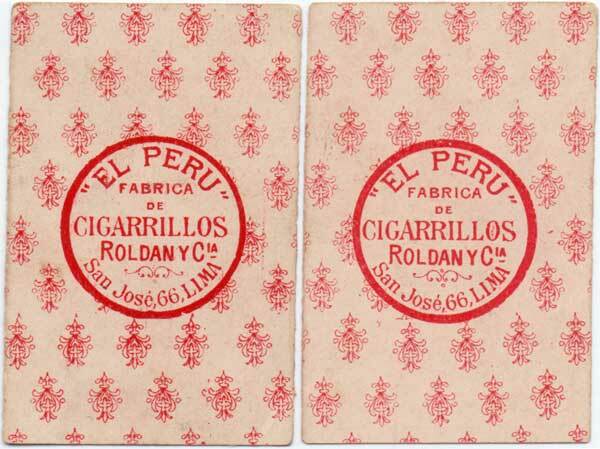 An identical, full sized pack was made for the French firm Joseph Bardou & Fils for the Philippines. Only the legends and advertising slogans have changed. 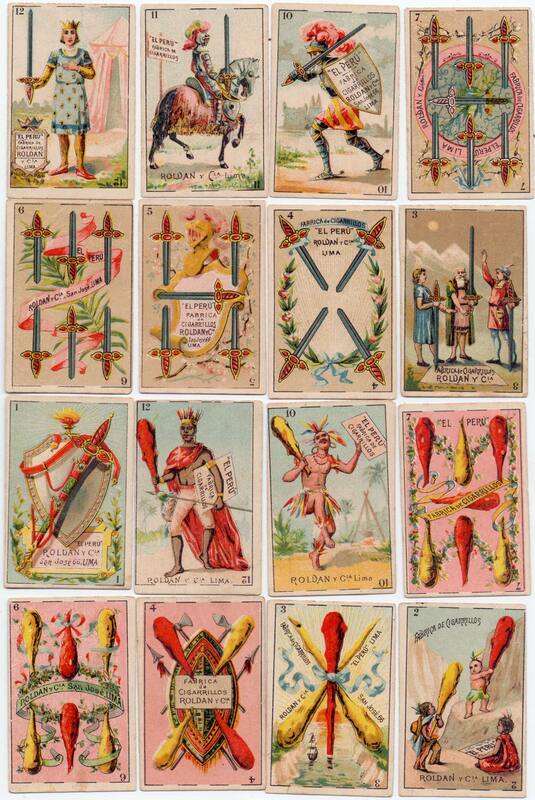 Manufacturer unknown, but believed to have been Spanish.